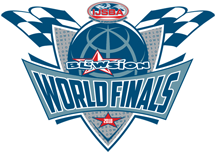 IJSBA is pleased to release the list of official lodging for the 2018 Blowsion World Finals. Official lodging is broken down into the following categories: Camping/Onsite, Convenience, Luxury, Discount, and Extreme Discount. When it comes to being close to the action, you can’t get any closer than staying at the venue. Crazy Horse Campgrounds and Resort offers full hook up campsites close to the spectator and pit entrances. Park amenities include vessel launching, pool, spa, shuffleboard, and horseshoes. You will have many of the watercraft community members as neighbors and are only a short drive to Kokomo’s and the convention center where the awards ceremony is held. Visit their website for more information: www.crazyhorsecampgrounds. Call 1-928-855-4033 to book. The Havasu Sands has long been a World Finals tradition for the bargain conscious. The Havasu Sands is an “all suites” establishment with every room boasting one or two bedrooms and a full kitchen with utensils. Amenities include a pool, a spa, and botch tennis and basketball courts. The Havasu Sands has an extraordinarily low price of $56.00 per night for a one bedroom standard suite and $89.00 for a two bedroom suite with two baths. To book your stay at the Havasu Sands, call 1-928-855-1388 and request the IJSBA World Finals rate. For more information on this hotel, please visit www.havasusands.com. The Sands on the Fairway is offering extremely discounted lodging for persons visiting the 2016 Quakysense World Finals. Budget conscious attendees will enjoy rates of $35.00 for a room with a single king bed and $79.00 for an executive suite with a single king bed. To book at the Sands on the Fairway, please call 928-855-1388 and request the IJSBA World Finals Rate.